A compact guide for short term Italy visitors. Recommendations for tours, things to do, accommodations and dining. The core of the earth is believed to be in the middle of it. Believe it or not, this is not true. The real core of the world is just located in the southern Europe as a beautifully designed heeled boot shape. Italy is the epitome of the world with no hesitation. 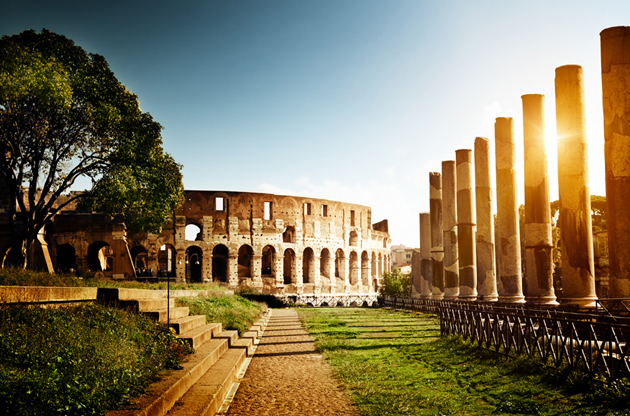 Italy is one of the exceptional countries that may offer something for everyone. Home to the legendary Roman Empire, Italy is the history itself and history lovers may think that they have gone to heaven before dying. Are you into art? Let’s remind that you are in the homeland of Caravaggio, or the Renaissance artists like Leonardo Da Vinci, Michelangelo, Rafael and Donatello. 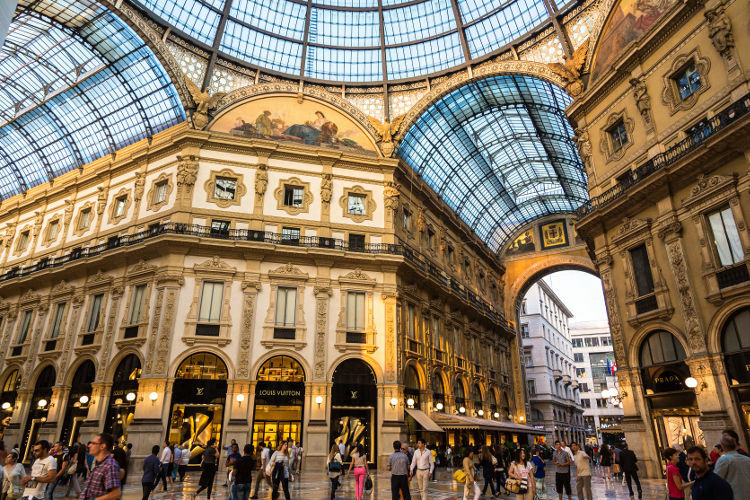 If you are into fashion, “the capital city of fashion”, Milan is also in Italy. Fancy a summer holiday? South coasts of Italy with dreamy beaches are waiting for you. If you are the winter kind of person, north regions offer you gorgeous ski resorts on snowy mountains. Italy is also the dream of hearty eaters for having the richest and most delicious cuisine in the world. When it comes to Italian people, they just reflect the warm spirit of the Mediterranean culture. They are vivacious and pleasure seekers. They live the life with the upmost passion. Get ready for seeing both good-looking men and women around. Their look is important to them and they are world famous with their elegant style. Giving off the smell of history, art and fashion to the world, Italy remains as the most attractive country in the world. One more to say, you should come closer to inhale the smell of coffee. Famous for its boot shape, Italy is a peninsula located in Southern Europe and bordered by Switzerland, Austria, Slovenia and France. 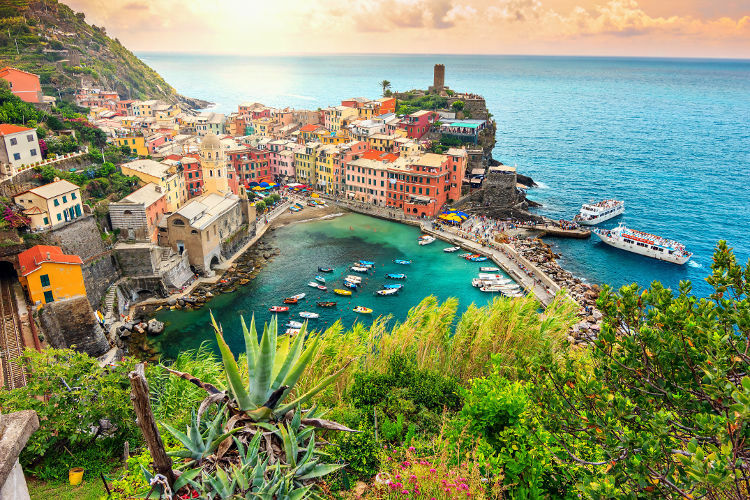 Life-extending Cinque Terre with picturesque houses, lemon trees and a beautiful sea is located in the western part of Italy. Consisting of 5 villages (as can be understood from its name) Cinque Terre is part of UNESCO’s World Heritage Site. Do not forget that wines of this fabulous region are highly popular. Italian Lake District offers you a continuous warm weather and magnetic beauty. Fresh vegetables, exotic plants and beautiful gardens are always around thanks to the fine weather. Among the most popular lakes are of course Lake Como and Lake Lugano. Being the largest island in Mediterranean, Sicily is home to the tallest active volcano in the world, Mount Etna. Its capital city Palermo, evokes the famous film Godfather in everyone’s mind. The other popular town Taormina is a paradise-like place and deserves your visit. In addition, Sicilians make liquor out of almost each fruits and they are all worth tasting. Each city in Italy offers different things for shopping. Our detailed shopping list on “what to buy from which city” will help you a lot. Near Rome, there is an outlet center named Castel Romano and you can buy even luxury clothing at reasonable prices. Silk products like ties and scarfs. Italian cuisine’s being the richest and the most loved among the world cuisine in indisputable. All of us are familiar with this cuisine but for the original and of course the best recipes, try them Italian! We know desserts are taken after the meal but starting with them would be inspiring. Among the most popular desserts, we can list Panna Cotta, Biscotti, Tiramisu, Cannoli and of course Gelato. The Italian version of ice cream, Gelato is creamier and richer flavored. 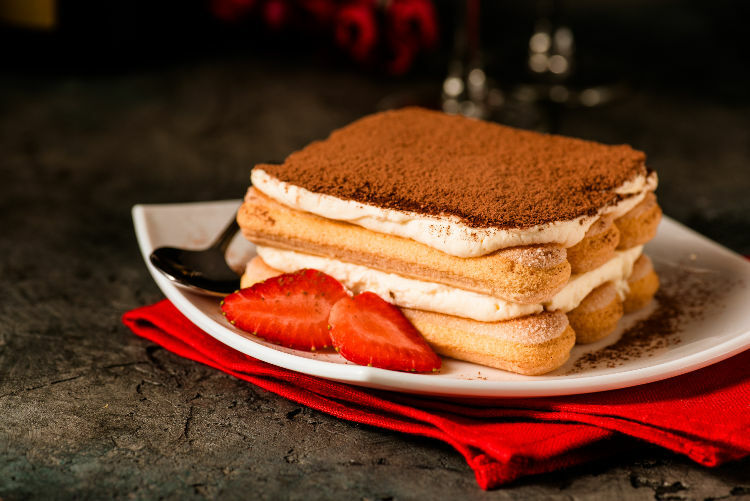 One amusing detail is that, tiramisu means “pick me up!” Why do still hesitate then? Pick a generous slice of Tiramisu up and go to heaven! When it comes to beverages, coffee is the first thing that comes to the mind in Italy. Espresso, Latte, Macchiato, Cappuccino are all Italian. You can find the best flavor at best prices in any other corner of Italy. Apart from coffee, Italian wines are memorable. Especially wines from Toscana region will make your tongue really happy. Another popular drink is Limoncello. It is a lemon liquor that contains 30% of alcohol and should be drunk very cold for its best taste. Cheese is the cornerstone of the Italian cuisine. Both as an ingredient and as side dish, Italian cheeses are highly preferred. Among the most popular cheeses are Mozzerella, Parmesan, Gorgonzola, Ricotta and Mascarpone. Giving a full list for popular Italian main dishes are impossible. However this list will make your tummy satisfied during your Italia trip. Do not leave Italia without tasting these dishes. You can click on the official website of the Ministry of Foreign Affairs of Italy here and get information about whether your country is exempted from visa or not. Italy undoubtedly the capital of history in Europe. Its famous gastronomy, remarkable history and legendary culture are just the tiny reasons why Italy is that charming. Its central location in Europe, favorable climate makes Italy a perfect host city for international gatherings like even large scale conferences, fairs, exhibitions, symposiums and congresses.